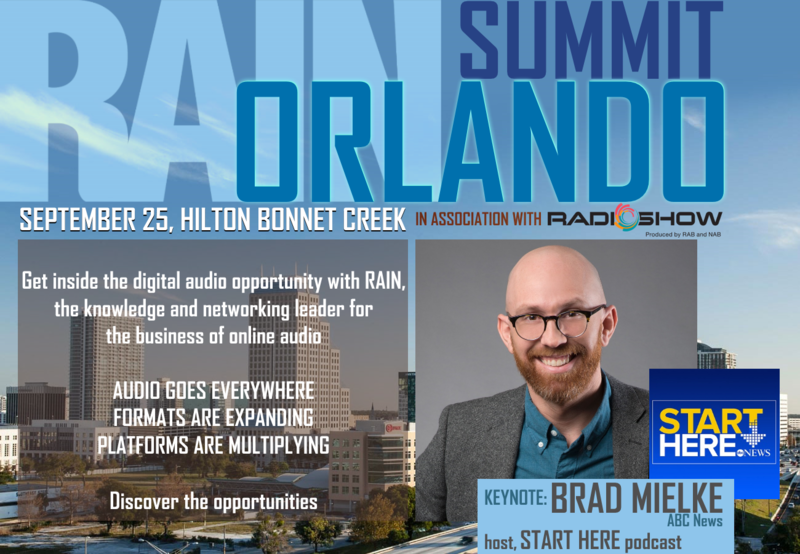 Brad Mielke, host of the START HERE morning news podcast from ABC News, talks with RAIN president Brad Hill about the conception, strategy, and production of a leading morning news podcast. As podcasting continues its steady growth, in audience and revenue, how can commercial radio accelerate its involvement? Is repurposed content the best way forward? This panel discusses how stations and groups can create new strategies with available resources. An overview of the changing listening habits and audio trends in the US, and how that translates into a growing opportunity for audio advertisers. This presentation features trends in audio ad buying, new technologies that brands are using in campaigns today, and data on the growth of streaming audio, podcasts, voice activated speakers, and listening habits. Real world case studies of audio ad campaigns that leverage new technologies and address growing trends include data and engagement that reinforce audio’s effectiveness as an advertising medium. Digital natives have never known an unconnected life. In this enlightening session, students talk frankly about listening to all kinds of audio — the what, how, when, where, and why of their choices. It’s a spotlight on the future of mainstream audio consumption. Panel provided by University of Central Florida. The deeply informative annual presentation by RAIN’s founder and pioneering streaming audio innovator. 1:20 PANEL: Programmatic Audio in 2018: Turning a Corner? 2018 has been year of milestones for programmatic audio, with a stream (see what we did there?) 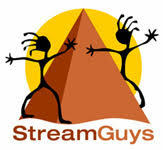 of news from Google, Pandora, Spotify, and all the major audio technology providers. Programmatic as an advertising mechanism is not only growing, but illuminating the central role of data in audio, driving more intelligent audience segmenting, campaign planning, and attribution. 1:55 RESEARCH: Radio’s Hardware Problem: How does radio compete if consumers don’t have radios? For decades, AM/FM Radio enjoyed a practical monopoly on listening, save for CDs or other recorded audio. Today, consumers have nearly limitless options available at home or work, especially with the advent of the smartphone and high-speed internet. While there are fewer easy options in the car, SiriusXM has come along and everyone is gunning for this space as well. Smart speakers create opportunity, but yet another area where consumers can listen to virtually anything. So the question is, “How does radio compete if consumers don’t have radios?” Using new data from Edison Research’s Share of Ear, Edison Research VP Megan Lazovick will look at radio’s share across multiple platforms and help radio managers prepare for ever-increasing competition. Radio has more options and platforms than ever beforeto increase digital brand identification and revenue. A RAIN Summit fall tradition, the Digital Leadership Roundtable gathers radio thought leaders to discuss how they are developing the digital side of business and diversify revenues.